I don't think I have ever had a Daim bar before. Though when I read up about it on the Wikipedia page, I'm pretty sure I've seen it around, but when buying a chocolate bar, I prefer one with a bit more substance, but next time I'm in Malaysia, I might pick one up just to see what its like. 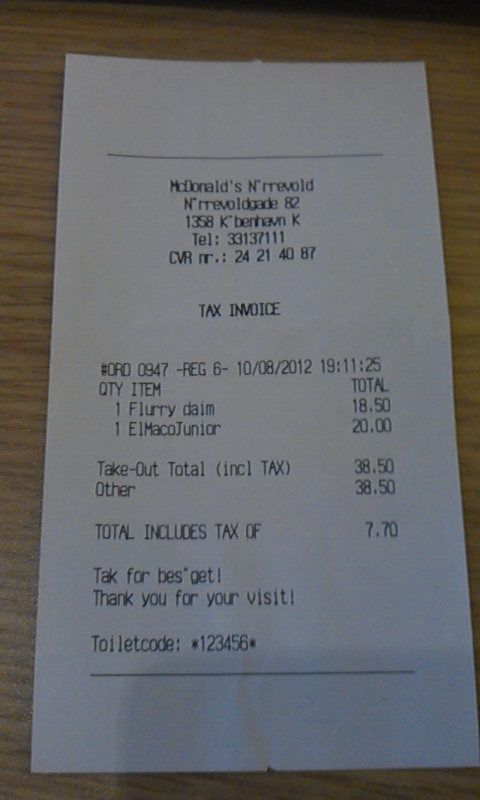 The McFlurry was a pretty disappointing. 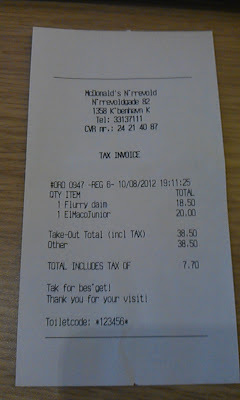 Not only was it the most expensive McFlurry I've ever had (at ~$3.22USD), but it was also one of the most poorly made ones I've had. As you can see in the photo, the ice cream wasn't anywhere near the top, and it seems like the used only a single teaspoon worth of Daim mix placed on top. I know the photo looks like there was a lot of topping, but it was literally all sitting on top, once the layer on the top was gone, it was just ice cream below. The topping itself had a slight crunch do it, and whereas a real Daim bar is supposed to be Almond Butter topped with chocolate, I could not taste the almond butter whatsoever. As I said, I've never had a Daim before, so I don't know if it's supposed to be crunchy or not. Though to be completely honest, at the time, I didn't care at all about the lack of topping, as I was just happy to get some sugar in my system. I had been awake since 6am, and because I flew in from London earlier that morning, I had been walking around Copenhagen all day not only with my personal carry on effects (including my own laptop), but with my newly issued 15.9" company laptop and case, which weighed a tonne. I hoped the day before that the SAS lounge at CPH would have lockers or at least a storage area (like LH did at MUC, or TK in IST that I used the following day), but I wasn't so lucky, so I had to carry it around all day. If you are in Denmark, give it a pass. Possibly try one of these new promos instead! 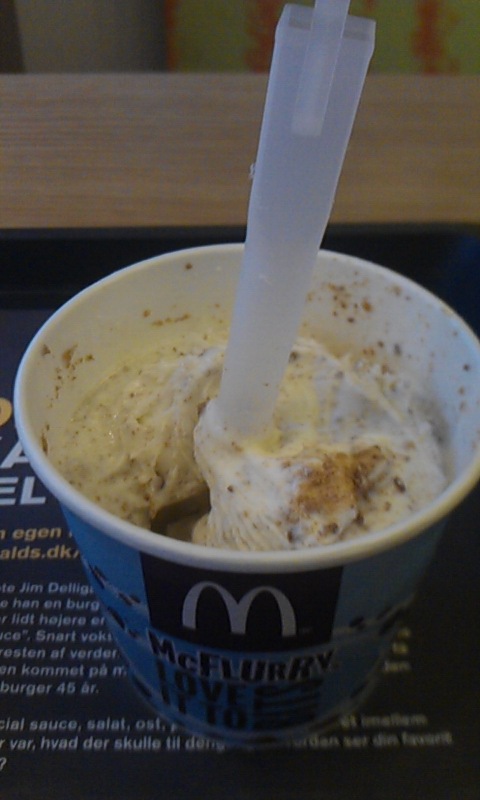 Mars McFlurry, Snickers McFlurry or a Twix McFlurry.